Are you one of the many eBay sellers who has felt put out by their policies? They often seem to favour the customers over the sellers which can lead to unfair rulings where customers have been deceitful and sellers end up out of pocket because of it. I guess it's down to the fact that, for eBay, customers are a much more direct source of money than sellers and so that's why they're always favoured in disputes. 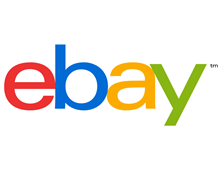 So what if you were looking for an eBay alternative? Well, might I suggest our service, Sellr? Sellr, like eBay, gives you a platform which you can use to sell things online. Unlike eBay, however, rather than just having all of your items listed on a site along with thousands of other people's items, Sellr gives you all the tools you need to create your very own website! Having your own website makes you look a lot more professional than just listing on eBay because literally anybody could use eBay but few go the extra mile and get their own website. Being more professional like this means that people are more likely to trust you and more likely to buy your product. It also means that you're in charge; you don't have to dispatch anything until you've got the money and you don't have to return anything unless the customer is actually deserving of a refund. You don't have anyone breathing down your neck - it's all down to your own decisions. Of course, as it is a new website and not part of an existing system (like an eBay shop) you're also provided with all of the essential marketing tools that will help your website to be found by as many people as possible. Sellr comes in several different packages; you can use it for free and that's fair enough, or you can pay for one of the larger packages and get even more features to make your website as efficient as possible. If you go for the £199.99 a year 'Sellr Pro' package right now we'd even make you your very own custom designed eCommerce website! It will save you having to build it yourself and will allow for a much more unique design than anything you'd be able to make with the tools we provide you with. Whatever you decide to do, whether it be to use eBay or to use Sellr, or to use both simultaneously, I hope that you will find success with your eCommerce endeavour.